Disclosure: I received free product in order to facilitate this review. I did not receive any monetary or other type of compensation. A full disclosure can be found at the end of this review. Have you heard of Aden + Anais? If you are expecting, or the parent to a newborn or young child... You probably have. They have a very enthusiastic and very loyal following. But if you aren't familiar with the products through first-hand experience, you're probably wondering what the hype is all about. Aden + Anais makes blankets, swaddles, sleep bags, and towels using muslin. The cotton muslin used for their signature and organic lines are popular due to their softness and breathability. They even have a line of luxury with their line of bamboo products! 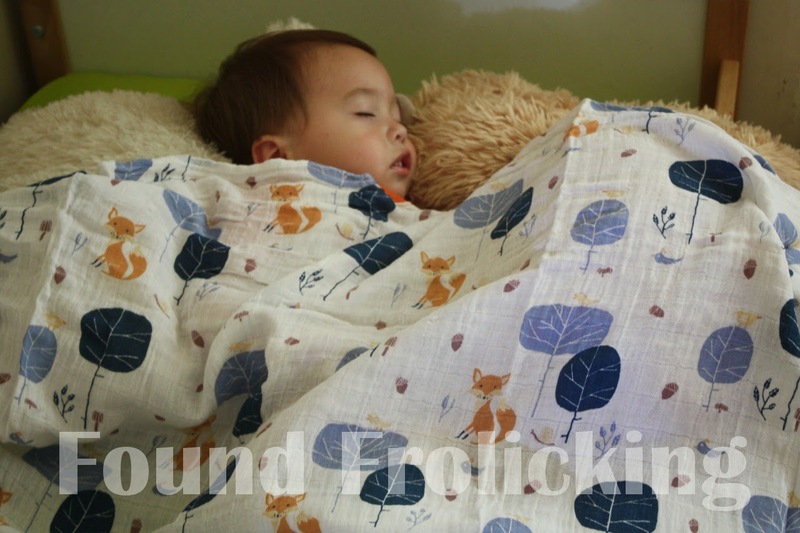 Muslin swaddles are much more breathable than receiving blankets, making them not only safer to use with a newborn or infant, but also allows you to use them on warmer days where a receiving blanket could cause a little one to overheat. The 47"x47" size of the Aden + Anais swaddles is another thing that makes them fantastic. Larger than receiving blankets or many other brands of swaddles, you can find uses for the swaddles even long after your baby no longer needs to be swaddled! The generous size can swaddle Baby E with room to spare, even though he's almost 2-years-old (there's a picture below to prove it!). At his age, he obviously doesn't need to be swaddled any longer, but it is a perfect example of just how big they really are. For many parents (myself included), there is a growing concern about the amount of chemicals are children are exposed to from pesticides in fresh produce, to unnecessary additives and preservatives in prepared goods, to air pollution we breathe in every day, to the chemicals in clothing. There's a lot to think about. It can be overwhelming to absorb, but also frustrating to find alternative options. Aden + Anais has a lovely line of organic cotton swaddles, allowing you to get the best and safest product for your child. My favorites from the organic collection are the Into The Woods and Wise Guys sets! Very gender neutral, and gorgeously designed, they make a lovely addition to any nursery. Baby E was already entering toddlerhood when I was hearing things left and right about Aden + Anais, and bumping into their products just walking down the street or when walking into baby boutiques. Unable to resist any longer, I just had to find out what all the fuss was about. 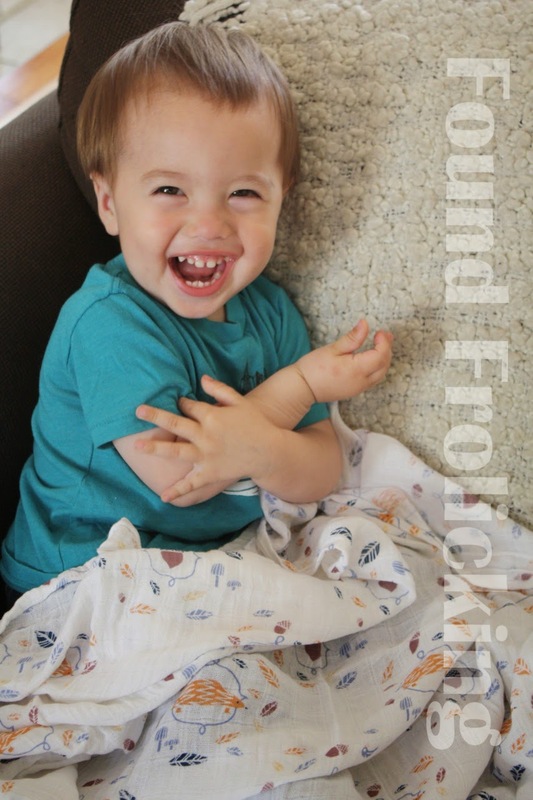 I purchased a Liam the Brave dream blanket, which turned out to be just the beginning. 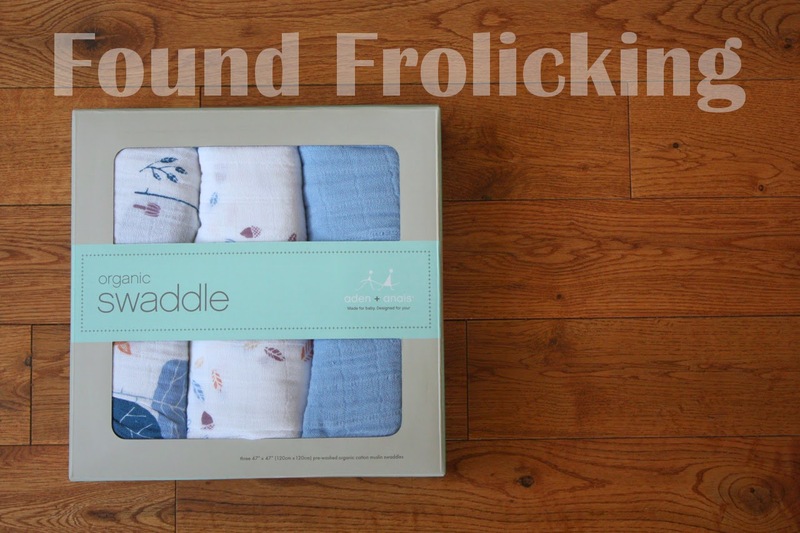 We've acquired many Aden + Anais products since, including the Into The Woods swaddle set. I wasn't really sure what to expect when I bought my first Aden + Anais product all those months ago. But it didn't take long for me to see what everyone loves about their products! Muslin is very unique in its texture. It starts out straight and flat, and develops "waffles" as it is used and washed over time. These waves in the fabric make them extra cozy and cute! I've never owned anything with a texture anything like it. The only downside is that muslin swaddles are not for everyone because they have a somewhat delicate nature. Not everyone will be okay with the pulls and pills they develop with use, depending on how they are cared for and how gently they are used. But, the loose way that it is woven together (which is why it is a fairly delicate material) is what it allows it to be so breathable. You can bury your face in a swaddle, and still breathe through it effortlessly. Although Baby E has outgrown the need for swaddling, he has definitely not outgrown a need for blankets! Even on the warmest days, he sleeps best when he feels very snug. Blankets comfort him greatly, and his naps are always cut short when he stirs from sleep and realizes he feels insecure. So blankets are a must, and this can be hard to pull off on really warm days where throwing even a light blanket on him can make him develop beads of sweat on his forehead. But that's where our Aden + Anais swaddles come in! I can throw a swaddle on him, and it's just enough to make him feel secure, without any risk of overheating him. There are plenty of uses that we find for our Aden + Anais swaddles, including using them as a nursing cover while we're out and about, covering the top of our stroller so that the sun doesn't beat down directly onto Baby E on sunny days, and bunching it up and letting Baby E use it as a pillow while he naps. Aden + Anais muslin swaddles have certainly become one of our household essentials! To purchase Aden + Anais swaddles or any of their other amazing products, you can do so on their website. You can also follow them on Instagram, like them on Facebook, follow them on Twitter, follow and check out their Pinterest boards, add them to your circle on Google+, and find out even more by watching videos about their products on their YouTube channel! The Aden + Anais "Into The Woods" organic swaddles in their packaging. 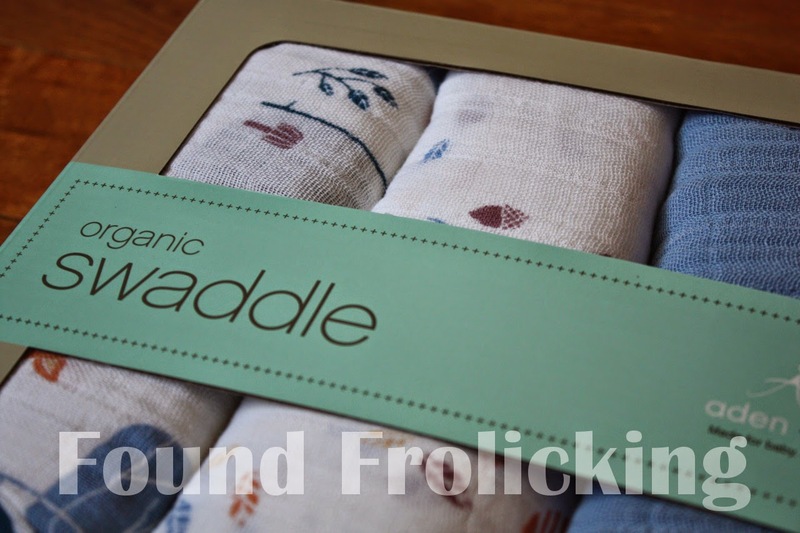 A close up of the Aden + Anais "Into The Woods" organic swaddles in their packaging. Close up on the "Into The Woods" hedgehog swaddle. 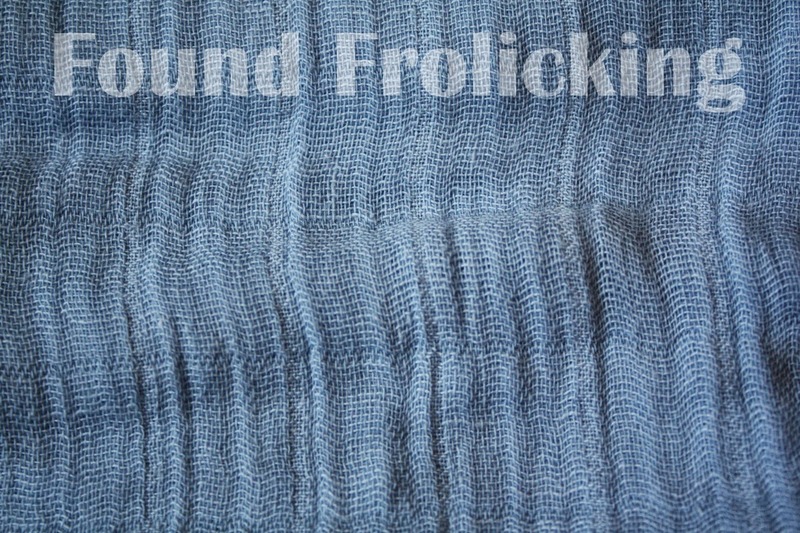 Close up on the "Into The Woods" solid blue swaddle. Close up on the "Into The Woods" fox swaddle. 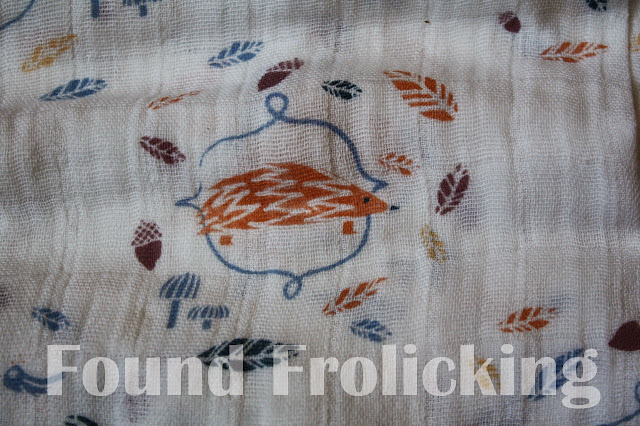 Baby E cuddled up with the Aden + Anais "Into The Woods" hedgehog swaddle! Even though he's almost 2-years-old, these swaddles are so big he can still be swaddled. 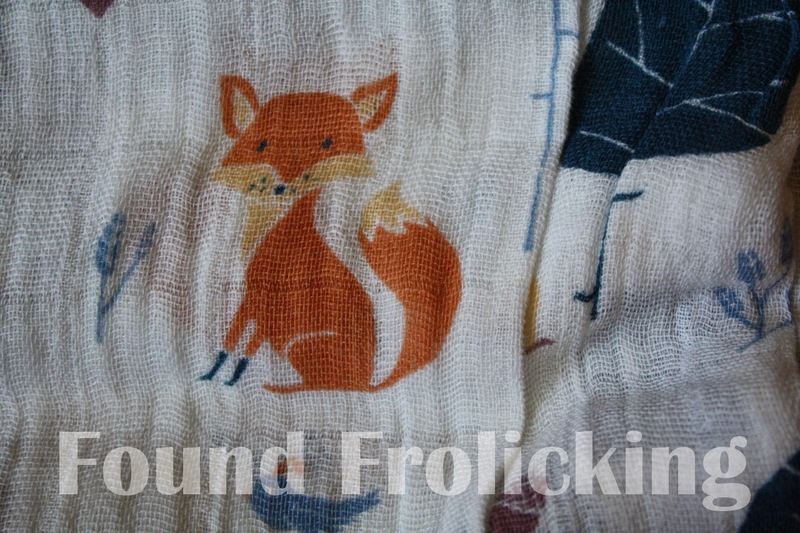 Baby E is fast asleep on a warm spring day with the Aden + Anais "Into The Woods" fox swaddle. Disclosure: This product was received by myself free of charge, in exchange for an honest review. I did not received monetary compensation of any kind. However, all opinions expressed are my own, and were in no way influenced by the brand or any other sources. The review and all photos with the watermark are the property of Found Frolicking, and should not be used or distributed in any way without first receiving permission. If you would like to work with Found Frolicking for a review, giveaway, advertising or promotion of any kind, please email Lalia at found.frolicking@gmail.com. Those are gorgeous. I have some similar ones, but just love the unique print on those pictured. I'll have to check them out! I got a pack of 3 when my daughter was an infant. They are awesome to swaddle. Now I used them as light summer blankets. 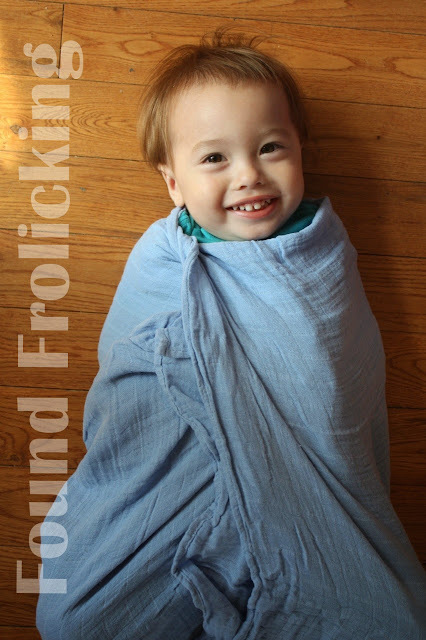 Our kids loved to be swaddled, but all we used was a baby blanket. This would have been so much better! Those look like nice swaddlers. My daughter loved to be swaddled. Bring Reading Rainbow to TODAY'S GENERATION! WINNER of "New Mom, New Year" Giveaway!